Building a pipeline from Lake Nighthorse to Farmington could cost between $83 million and $173 million without calculating the cost of acquiring right of way access, a consultant to the San Juan Water Commission told the group today. Rick Cox, a senior engineer for the engineering firm AECOM who also serves as a consultant for the San Juan Water Commission, targeted that figure while delivering a presentation for the water commission during its monthly meeting here. The commission spent about $20,000 on a study to look at three alternatives that could help local water users if another mine spill occurred in Colorado and dumped toxic material in the Animas River. Those alternatives included building a small-diameter pipeline from Lake Nighthorse, building a large-diameter pipeline from Lake Nighthorse and building additional storage reservoirs. The lake is a storage facility located in a recently annexed portion of the city of Durango, Colorado. It stores water from the Animas River for several member entities including the Navajo Nation, the Ute Mountain Ute Tribe, the Southern Ute Tribe, the city of Durango and the San Juan Water Commission. Building shallow ponds to increase the storage capacity by 50 million gallons at the lake was the least expensive of the three options cited during today’s meeting. Cox said it would cost about $18 million. The additional 50 million gallons of storage would last about 14 days. The San Juan Water Commission represents Aztec, Bloomfield, Farmington and rural water users in San Juan County. Cox said not all of those water utilities would require additional storage capacity if another mine spill takes place. He explained that some water utilities, such as the Lower Valley Water Users, already have enough storage capacity. Other water users, such as the city of Bloomfield, could benefit from additional storage capacity, Cox said. While the additional water storage capacity would help local water users if another mishap like the Gold King Mine spill of August 2015 occurs, it would not provide much help during drought conditions, Cox said. A large-diameter pipeline could provide the water users with water for up to 114 days during drought, Cox said. The San Juan Water Commission has rights to 20,800 acre-feet of water stored in Lake Nighthorse. 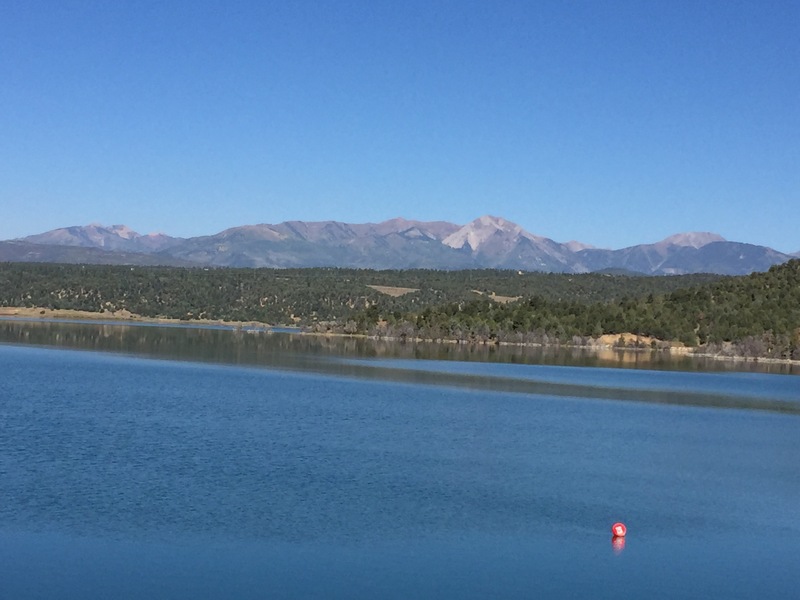 During a drought, the water commission can call upon the Animas-La Plata Operations, Maintenance and Replacement Association, which oversees Lake Nighthorse operations, to release water for San Juan County water users. Currently, the only way to get that water from Lake Nighthorse to the water users in New Mexico is to release it back into the Animas River. A pipeline would ensure all the water released from Lake Nighthorse reaches water users in San Juan County. Animas-La Plata Operations, Maintenance and Replacement Association general manager Russ Howard warned commissioners not to rely on Lake Nighthorse. Howard said it could take years to refill the reservoir after water is withdrawn. He warned if there was a multiple-year drought, Lake Nighthorse could only be an option for one year. San Juan Water Commission members have expressed concerns about recreation on one of the region’s larger reservoirs. Lake Nighthorse near Durango, Colorado, was built as part of the Animas-La Plata Project to store water for various entities in the region. “The purpose of the reservoir is for us, not for recreation,” said Cy Cooper, who represents the city of Farmington on the commission. 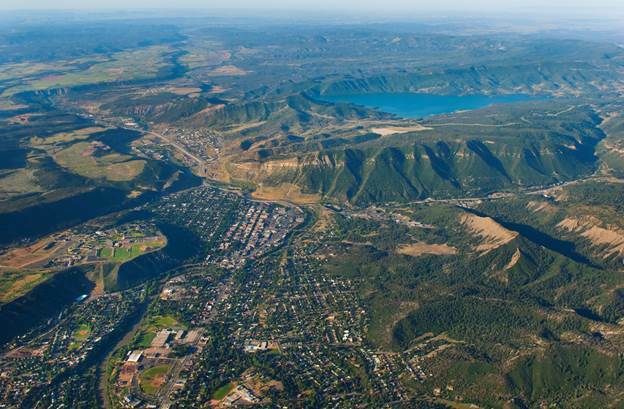 The city of Durango, which recently annexed the reservoir, has said the lake will be open to recreational activities, including paddleboarding and kayaking, on April 1. The lake is scheduled to open to motorized watercraft on May 15, though city officials are still working on a plan for regulating that. Russ Howard, the general manager for the Animas-La Plata Operation, Maintenance and Replacement Association, assured members of the San Juan Water Commission on Wednesday that recreation will not be prioritized ahead of water quality. As of Monday, Lake Nighthorse was 97 percent full with nearly 112,000 acre-feet of water in it. The reservoir is expected to be 100 percent full by the end of June following 49 days of pumping water from the Animas River. If local water users, such as the city of Farmington or the city of Aztec, need more drinking water, they can ask for water from Lake Nighthorse to be released into the Animas River. 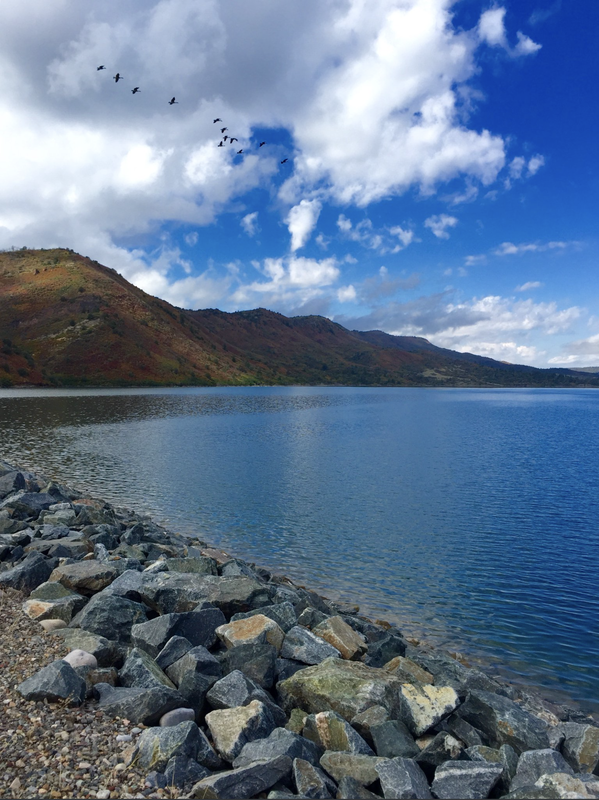 San Juan County water users could request water from Lake Nighthorse if drought conditions put a strain on water resources. “People just need to realize that the lake is a dead pool if we destroy the viability of the water,” said Jim Dunlap, who represents rural San Juan County water users on the San Juan Water Commission. Howard said the baseline data is in place so changes in water quality can be detected. He said monitoring will be in place for bacteria like E. Coli and for petroleum byproducts. If either of those are detected, recreation activities could be stopped or reduced. An oil and gas separator has been installed at the boat ramp parking lot, Howard said. He said any oil or gas that leaks onto the asphalt will run into the separator. Members of the commission also received packets on Wednesday that included graphs and updates about water resources, including snowpack and stream flow data. The data was from organizations including the U.S. Geological Service and the Colorado Basin River Forecast Center. According to the U.S. Geological Service stream flow data, the Animas River’s flow in February was 47 and 63 percent of average, depending on the location of the gauge. The flow was below the 2002 levels, a year that turned out to be one of the driest on record. The Durango Herald reported this week that the Animas River in Colorado had reached record-low levels for this time of year. As of Tuesday, the Colorado Basin River Forecast Center was reporting snowpack that was 53 percent of the median snowpack from 1981 until 2010 in the Animas Basin and 58 percent of median in the San Juan Basin. Drought conditions in the Four Corners region have worsened since the beginning of the year, according to the U.S. Drought Monitor. The monitor also shows that drought conditions in the Four Corners region are worse now than they were at the beginning of March 2002. Lake NIghthorse September 19, 2016. …the city of Durango must annex the lake on County Road 210 and finish several construction projects before it’s ready for visitors, said Parks and Recreation Manager Cathy Metz. Durango City Council also needs to address a request to make the lake a no-wake area. While there is no exact opening date, the city is targeting April 1, but this will depend on the construction season during the winter, Metz said. City staff members have forecast an opening year for the lake in the past, but this time, the city is setting aside funding for operation in its 2018 budget. Lake operation, including staffing and materials, is expected to cost about $478,000, according to the city budget. City staff members will manage the lake and an entrance station where they will inspect boats for invasive species, such as zebra mussels. Operational costs not covered by user fees will be split with the U.S. Bureau of Reclamation, Metz said. The cost split with the bureau will include the cost of providing police presence at the lake. The city is also planning to finish construction projects, including an overflow parking lot and a breakwater before the lake opens. The city has proposed spending $300,000 next year on a breakwater and a courtesy dock. A federal grant will pay for the overflow parking lot, which is in the design stage. While a lot of work remains to be done to open the lake, some construction is finished, including an access road, boat ramp, parking lot and restrooms. The entrance station where boats will be inspected is also close to completion, she said. The city anticipates charging $5 for a day pass and $50 for an annual pass, she said.